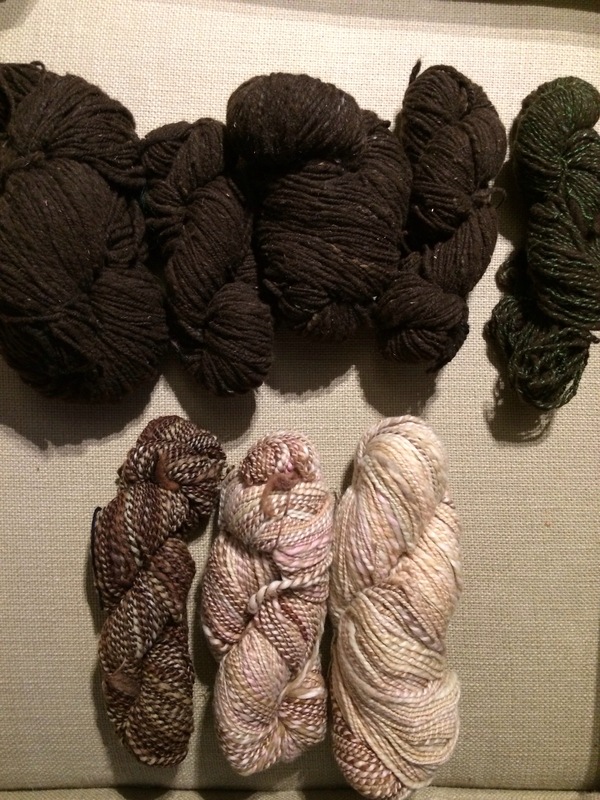 And here’s all the handspun in my stash, waiting to be knit up! 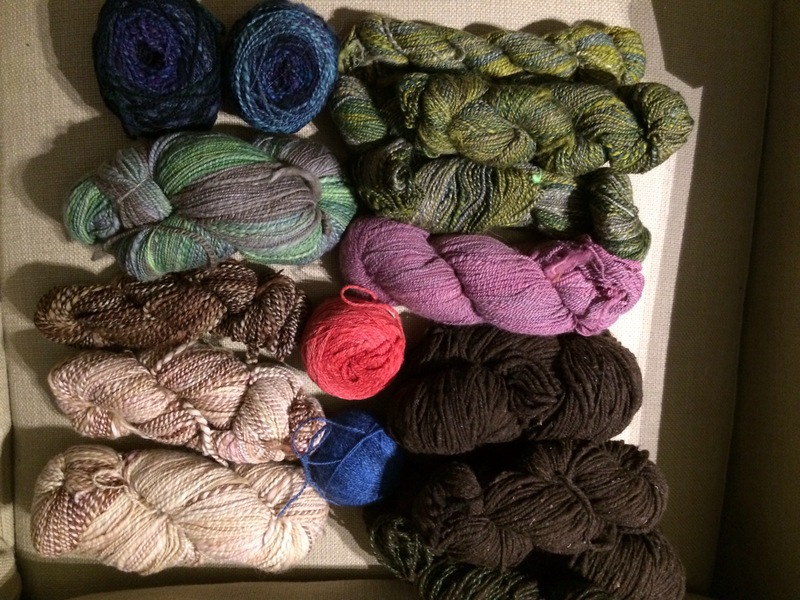 I’m not counting the fiber I bought at Stitches West or the fiber I’ve been given, since my goal was regarding the fiber I had at the beginning of 2014. 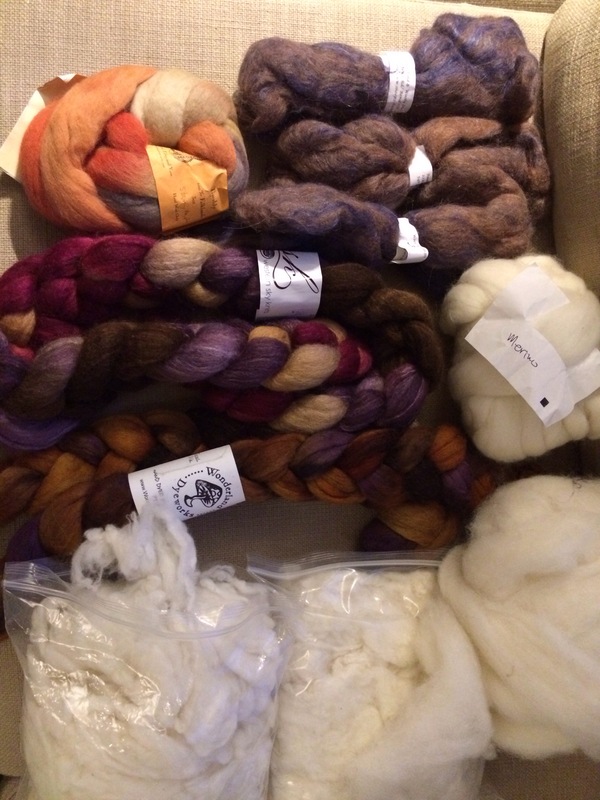 I’ve made a dent in my fiber stash for sure, but it’s clear that I’d better get spinning!!! And then I need to knit up my handspun!